We had a singular goal: Build a kickass workshop in our backyard, do it ourselves, and come in on a budget. We accomplished that by building and outfitting a prefab 24×30-foot garage kit. Just like a sailor at sea, though, we were left with an emptiness in our heart. We longed for a lift. Now, a year after finishing our garage, we broke out the bin labeled “construction tools” and went back to work. It was finally time to install that lift. If you’re asking that question, one thing is obvious: You’ve never used a lift to work on a car. It’s like the first time you used an impact gun, or tried beer. Once you work on a lift, it’s hard to go back. Do lifts have their downsides? Absolutely. They take up quite a bit of space, they require a tall ceiling and thick concrete floors, and they’re certainly more expensive and less portable than jack stands. But for anybody who works on their car more than a few times per month, a lift is worth its weight in gold. That’s especially true with modern cars. Gone are the days of roomy engine compartments and their longitudinal drivetrains. Instead, today’s cars often feature subframes tied to drivetrain packages that drop out from below, making it arguably dangerous to swap an engine without a lift at your disposal. How else are you going to safely raise that Volvo three feet into the air so you can yank its heart? Even if you’re working on a ’57 Chevy, lifts are safer than jack stands and make everything easier. The first step of lift shopping is easy. Find a mirror (full-length is best), stand in front of it, and then hold out your index finger. Point it at your reflection, look yourself in the eyes, and ask yourself: What are you really going to do with that lift? This is important, as each style of lift is good for different things. Building a lot of exhaust systems? Then you’ll want a four post-lift, since this style keeps the suspension loaded, which helps locate clearance issues. Changing your suspension setup often? You’ll probably want a two-post or a scissor lift, since these leave the wheels dangling. Swapping transmissions? Skip the scissor lift–it covers the bottom of the car–and go for a two- or four-post lift. We should mention that most lifts offer adapters or additional tools that make it possible for you to do different things with them. 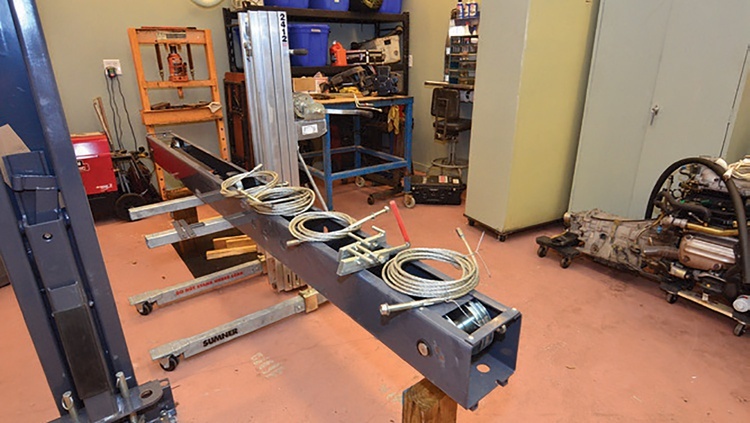 A bridge jack, for example, can be used to raise the wheels when using a four-post lift. Even so, we’d say that it’s better to buy the correct lift for the job. Your space will be another defining factor. A garage with a low ceiling won’t be able to accommodate most two-post lifts, while a garage that’s really small will feel even smaller with a four-post behemoth parked in a bay. Which Lift Should I Pick? Lift is a broad term, with what seems like a thousand variations on the market. We’ll cover the four main types of lift: two-post, four-post, scissor and portable. Each has its pros and cons, and while comparing them could fill a book by itself, here’s a quick rundown of the basics. 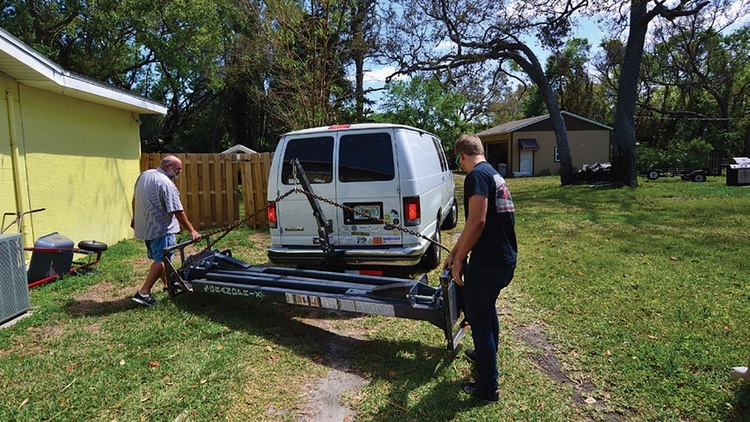 Portable Lifts: QuickJack is the brand name that’s probably best-known among these lifts, and it’s easy to see why: For as little as $1125, you can buy a brand-new lift that doesn’t require formal installation. Just plug it in and lift your car. It’s truly portable, too, easily fitting into a big car or an SUV. These are great at the race track, but not really what we were after. 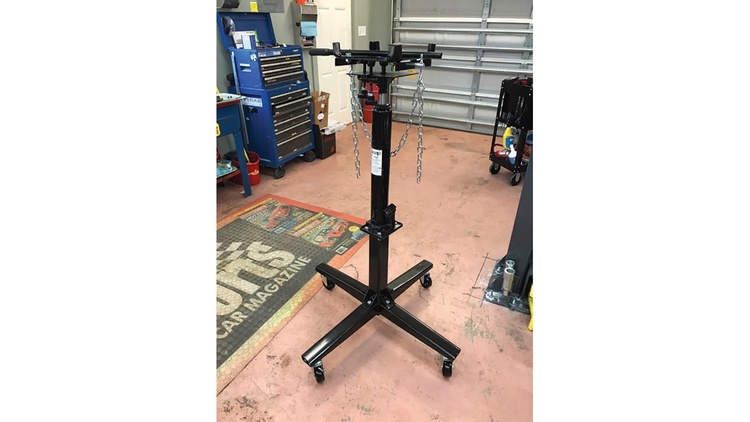 A QuickJack lifts a car less than two feet, making it more of a competitor to jack stands and less of a replacement for the traditional, commercial-style lift. The market also offers a two-post portable lift. MaxJax is the most common brand name here, and explaining it is simple: It’s like a normal two-post lift, but there’s nothing connecting the two towers. Plus, those towers are small and light enough for one person to roll around. 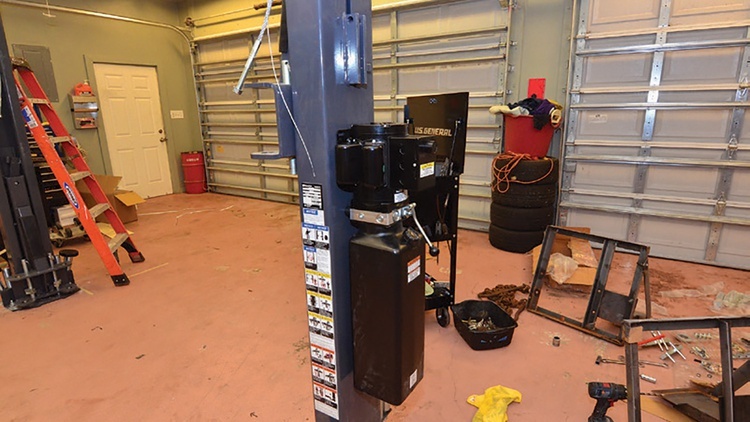 Installing this lift requires anchors embedded in the garage floor, but, in theory, you could install a few sets of anchors so the lift can be moved from spot to spot. MaxJax usually sells lifts for around $2000, with their site currently listing a summer sale price. Sounds great, right? In certain situations a MaxJax would work perfectly. But it lifts a car less than four feet, and its capacity is only 6000 pounds, meaning it wouldn’t lift our van. This lift also requires some support equipment: You have to park a power unit nearby, and there will be some hydraulic lines lying around. That sounded like stuff we’d constantly trip over. Plus, we didn’t really see ourselves ever moving our lift. Again, once you have a lift, you never go back, so the portability didn’t appeal to us. Scissor Lifts: These come in a few shapes and sizes, with the big ones able to lift a car high enough to walk under and the small ones providing enough clearance to allow you to rotate tires. These are definitely more portable than two- or four-post lifts, but come with a major drawback: Most completely cover up the underside of the car. Still, if you’re into rear-engine cars or just work on suspensions, this could be the lift for you. Some modern variants offer more access to the entire chassis, but it’s not close to what a two-post lift offers. Scissor lifts also struggle with long-wheelbase or extremely short-wheelbase vehicles. This means we couldn’t lift our van or a Fiat 500 with one. BendPak’s low-rise scissor lifts start at $2870, while their full-height models start at $4715. 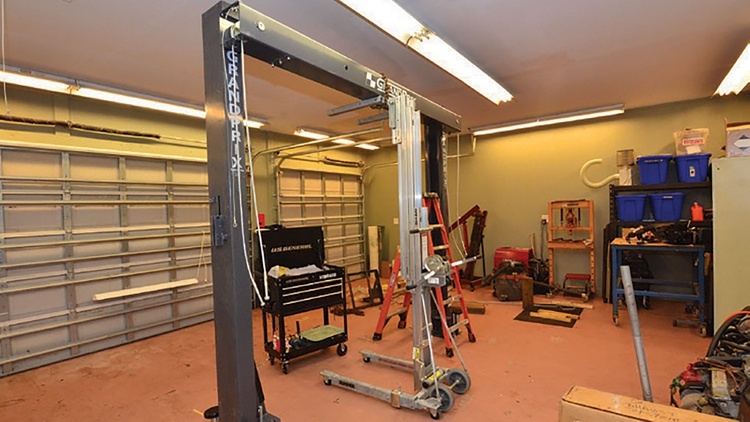 Four-Post Lifts: This is the most common type of lift found in home garages, and the reason is simple: They’re fairly easy to own. They’re easy to install, too, since they don’t need to be anchored to the ground. Lastly, they’re easy to use: Just drive the car on and hit the button to go up. 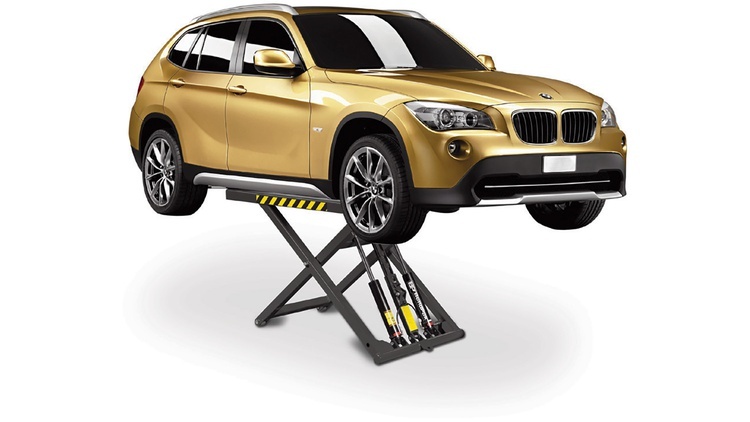 Four-post lifts are great for pulling engines, building exhausts, or parking extra cars. On the downside, they’re not great for suspension work and take up tons of room. BendPak’s four-post lifts start at $2870. 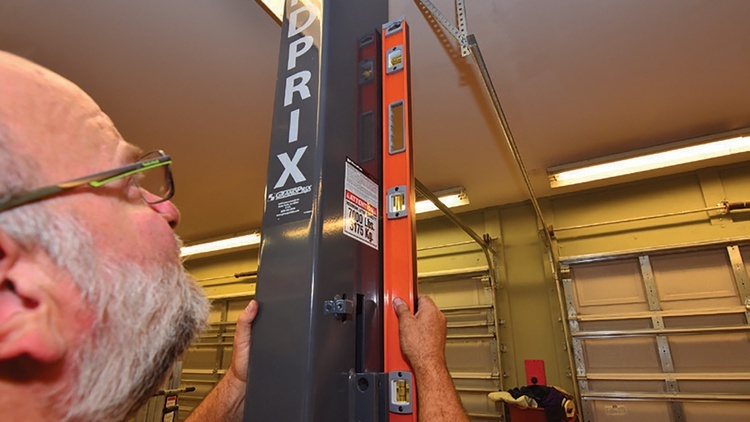 Two-Post Lifts: These are widely considered the holy grail by those building project cars, and there’s a reason: They’re pretty much perfect for the sort of work we do. First, though, what they’re not good at: Two-post lifts take time and effort to adjust for each car, so you won’t want to use one for your daily parking needs. They’re the most difficult to install, too, requiring good concrete, a permanent spot, and a few strong helpers. And unlike a four-post lift, they don’t allow you to move the car once it’s in the air, which can make pulling engines more difficult. In return for these tradeoffs, you get a lift that practically floats the car above your head. Only four small jack points need to be considered. BendPak’s two-post lifts start at $2400. The Rest: What about the other types of lifts? Yes, there are others–like those single-post in-ground lifts that were common 50 years ago, or the lifts that big-city parking garages use to cram a bunch of cars into a small space. We decided to focus on what the average GRM reader is likely to encounter, but feel free to do your own research. What about the lift brands you’ve never heard of, which we’ll refrain from mentioning? We’re neutral, like Switzerland, so we’ll leave the choice up to you. But there are some reasons why we crossed them off our list. First, support: Lifts are durable goods, and odds are you’ll have yours for decades. We wanted to buy from a company with a history, which should increase our odds of finding replacement parts if we ever need them. Second, features: The off-brand lifts seemed to be pretty average in every way. This is fine for a big shop with a 14-foot ceiling, but we were looking for a bit of a specialty item: a lift that fit in our small shop, could handle two types of lifting, could pick up very low cars, and didn’t have huge columns. Third, safety: The BendPak model we chose has a long list of redundant safety features, not just locks, built into its design. We didn’t find those features in some of the off-brand lifts. Fourth, certification: There is actually an organization that regulates lifts, and it’s called the Automotive Lift Institute. ALI is to lifts as the Snell Foundation is to helmets, and we wanted something that had earned a certification from a trusted authority. Lastly, quality: We have friends with cheap lifts, and the difference is obvious. Theirs are defined by thinner steel, smaller assemblies, underpowered motors and fewer features. Look, we’ll put it this way: If we buy a discount drill, we know what we’re getting. We understand that it will work pretty well for a few months or maybe a couple of years, then one day it will cease operating as a drill. Perhaps it could then double as a hammer. Or maybe not. Either way, we’ll go back and buy another drill. That’s the game, and we’re cool with the results. A lift, though? A failure could drop a car on your head. Or leave a car stuck up in the air. Or result in some other bad outcome. We’re not willing to play that game, which is why we limited our search to name-brand lifts. After evaluating all of our options, we narrowed down our shopping list. We wanted a two-post lift so we’d have free and clear access to the undersides of our cars. We had to consider our space constraints as well, since our shop has 10-foot-tall ceilings, while each bay is fairly narrow. We were also guided by our desire to have a clear floor between the posts. Some two-post lifts connect at the bottom; some connect at the top. We homed in on the latter: When we’re rolling around a transmission, for example, we don’t want anything getting in our way. We had one final requirement: Whatever we bought needed to be able to lift every vehicle in our fleet, from a Toyota MR2 to an extended-body Ford E-250 van. Why lift the van? Again, once you work on a lift, it’s tough to go back–and there’s no way we were ever going to crawl under that van again. 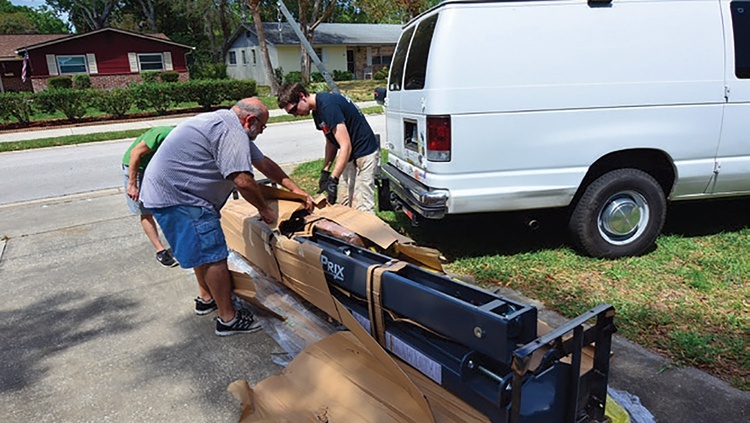 The van added some extra challenges to the quest: It weighs 6400 pounds, meaning we needed a lift with a 7000-pound capacity. Our shop’s run of 22 feet from the garage door to the workbench meant that we’d need a lift that could handle either asymmetric or symmetric lifting. In layman’s terms, we wanted to be able to load our MR2 back far enough that we could still open the doors (asymmetric), but we also needed to lift the van by its center so it would fit in the garage (symmetric). The winner of our search was BendPak’s GrandPrix Series GP-7LC. This lift is a shortened version of their ALI-certified GP-7. It’s designed for home shop owners, which means it’s short enough to fit in our building with less than an inch between the lift and the top of the ceiling, and its columns are super narrow, so we could still park three cars. 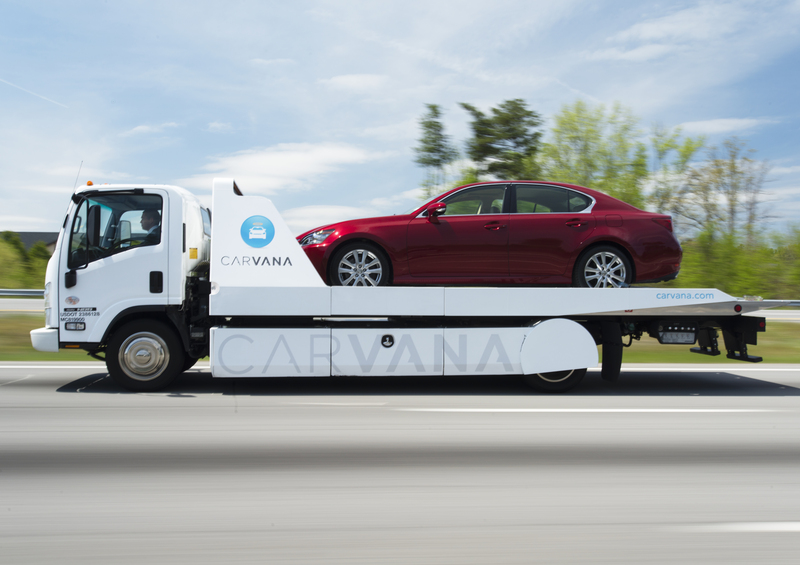 Its 7000-pound capacity and asymmetric/symmetric loading options met our other wishes. BendPak has been around since 1965, meaning we’ll probably find somebody on the other end of the phone should we need help in five or 10 years. Our lift has a decent warranty, too, covering everything (even labor) for a year and the lift structure itself for five years. This model retails for $2595 with free shipping. Good point, and we looked, but the supply of used lifts didn’t match what we needed. We could have saved about 50 percent by buying a used lift from a shop that was moving, closing or upgrading, but we couldn’t find anything that would clear our 10-foot ceilings and was the right type for our needs without being some kind of very weird deal. If you live in a real city, perhaps your pickings on the used market will be better. We paid retail, but in the end, we got exactly what we wanted with a warranty and delivery. When our lift arrived, we found ourselves standing in the driveway while a truck driver lowered the 1200-pound package off his truck. He dropped it on the concrete, waved goodbye, and drove away. Fortunately, we had a plan. Installing a lift yourself isn’t rocket surgery, but there’s a lot of heavy lifting (hah!) and plenty of opportunities to hurt yourself. So in addition to several friends with strong backs, we had lined up another ally: trailer crane. This contraption, which we cobbled together for our ramp truck project, turns any trailer hitch into a shop crane. We unpacked the lift into a few 400-pound chunks so we could trailer crane them one at a time into our shop. Then we flipped open the instruction booklet, turned to page 1, and went to work. Once the lift was on our property, we needed to break it up into manageable chunks to we could transport it back to our shop. Unsurprisingly, the first step involved measuring, as each column needed to be bolted down a specific distance from the other. And they needed to be perfectly parallel. After about an hour, we’d marked our floor with each columns location: 12 feet inside our garage door, to the left of our big bay. With our friends’ help, we tipped each column into place, using a hammer and a block of wood to get them exactly where we needed them. After triple-checking our measurements, we used a hammer drill and the included concrete anchors and shims to bolt down and level each column. We used friends and a rented material lift to raise the posts. Looking back, that material lift was money well spent. Once upright, we installed the posts in the correct spots. Before tightening down anything, we made sure the posts were plumb. Notice the lack of any specialized tools or equipment. Something has to tie together the posts that make up a commercial-style two-post lift, and that "something can be located at either the top or bottom of the posts. We chose a lift that put the connection at the top. We saw the other option just getting in our way. Before we placed the top beam, we needed to route the cables through their necessary pulleys. The next step was the most intimidating: The top beam of the lift, which weighs about 300 pounds, needed to be gently placed on top of the columns. After some mental gymnastics that involved picturing a few of us on rickety ladders, we did the smart thing and went to Home Depot, where we spent $64 to rent a big material lift for the day. That allowed us to quickly (and safely) lift the top beam into place. Hooking up the hydraulics wasn't a big deal. Then we could attach the arms. Ta-da, we have liftoff. Big thanks to our uncle Dave, who stayed for the duration of the project. From there, we just followed the instructions. It took us a few nights of work to route the redundant cables where they needed to go, install the safety locks, plumb the hydraulics, and finally install the arms. One thing most people won’t do themselves is wire the electrical service: A lift needs a dedicated a 240-volt feed on its own breaker, so you’ll need to call an electrician to finish the installation. Fortunately, we had planned ahead and already had the wiring for our lift tucked up in our attic. We fished it through some conduit and hooked up everything. Just like that, we had a lift! It had taken weeks of research and days of work, but we finally had a lift of our own. We celebrated by lifting our lightest, crappiest Miata, standing well back while it soared. Had we really put something together that could throw a car six feet into the air? Yes, we had–and it felt good. Once you get a lift, you’ll need a few other accessories, too. There are hundreds of tools designed specifically for working on a lift, but there are three we couldn’t live without. First up is a transmission jack (above), which does so much more than just lift transmissions: It lifts subframes, fuel tanks, differentials and lots more. 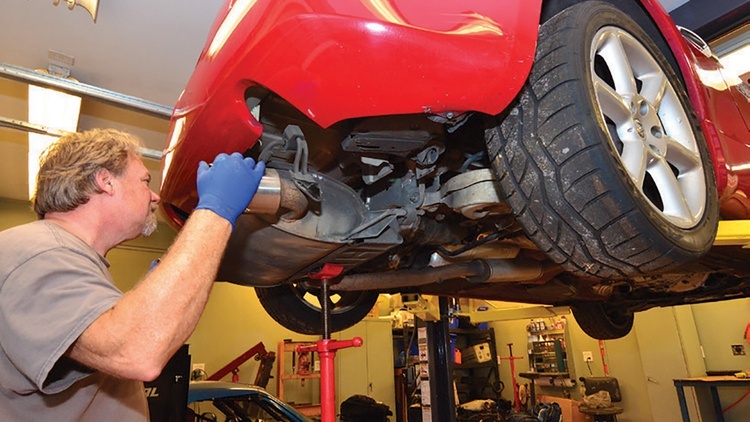 Your floor jack won’t reach above your head, so buy a transmission jack as soon as you finish installing your lift. Otherwise you’ll find yourself in a jam and jury-rigging with whatever you have lying around. We got ours from Summit Racing. It works great, and it cost $144.99. Next up, you’ll need a drain pan. Yeah, a five-gallon bucket will do the job, but do you really want every liquid splashing six feet before it finds the bucket? Summit offers oil lift drains–basically a bucket, a stick and a funnel stacked on top of each other–for less than $50. While you’re adding stuff to your cart, pick up a few under-hoist stands, too (above). These are great for supporting parts while you’ve got a car on the lift; think holding up a transmission while you change mounts. They’re about $80 each brand-new, but we bought used ones from a friend. Oh, and there’s one more thing to add to your list: Make sure you pick up any adapters you’ll need for your cars, like frame adapters for your pickup truck or offset pads for your Miata. I enjoyed this article, and the lift you chose is the exact lift I've been eyeballing for the same reasons: ceiling height and clear floor. 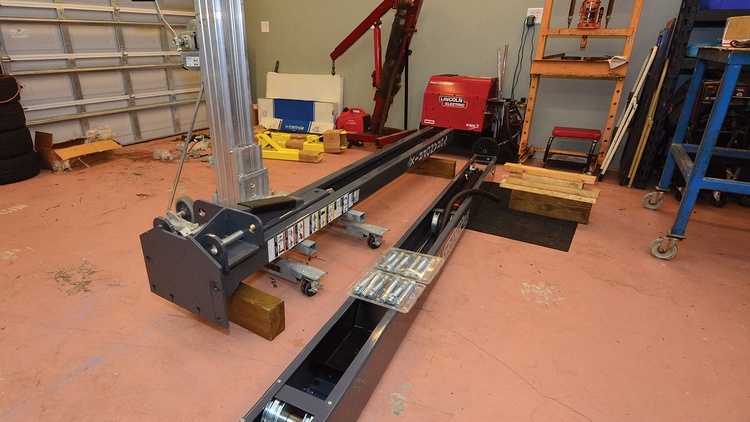 I think it's worth mentioning that installing rolling bridge jacks on a 4-post lift mitigates a lot (although not all) of the drawbacks relative to a 2-post lift. It does increase the cost by even more, but comes with many of the other 4-post advantages, such as narrower width and lack of floor anchor requirements. Forget the lift, now I want a trailer crane! That's awesome! Hot tip: put a 220v welder plug on the lift upright. 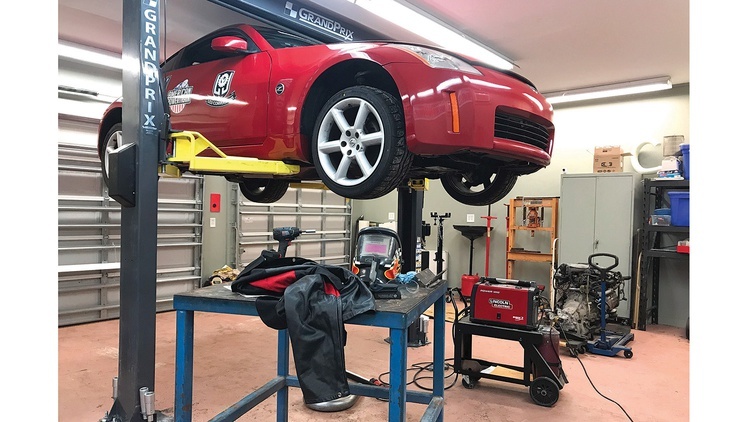 Being able to plug your welder into your lift is really, really convenient. I've installed a couple of lifts, and I've found that it's actually pretty easy to stand up the towers with just two people. They're very bottom-heavy. The top beam on yours looks a lot heavier than the one on my 10,000 lb Bend Pak - I can carry it around, and two guys on ladders have no trouble hauling it into place. When I installed my home lift, I backed the trailer with the lift right up to the garage door and put the heavy parts on HF furniture dollies. A friend and I were able to do the full installation from there with nothing more than a rented drill for the concrete anchors and two ladders. This looks like a great home garage setup. Apologize if I missed it, but how high are your ceilings? Can't tell from the angle of the picture, but did you use a jackshaft garage door open for more clearance? I've begun some cursory lift research of my own lately and 10 ft ceilings are tough on lift purchases. That seems like a decent lift, but with a max rise of 68", seems like anybody taller than about 5'6- 5'7" will be hunched while working under it at its max possible height. Taller vehicles like the van will reduce that working height even further. But, when priorities are a clear floor, and the ability to lift symmetrically and asymmetrically you don't have a ton of options. Great article with lots of good information. I do have a few comments based on about four decades of messing around with cars on a variety of lifts and jack stands. 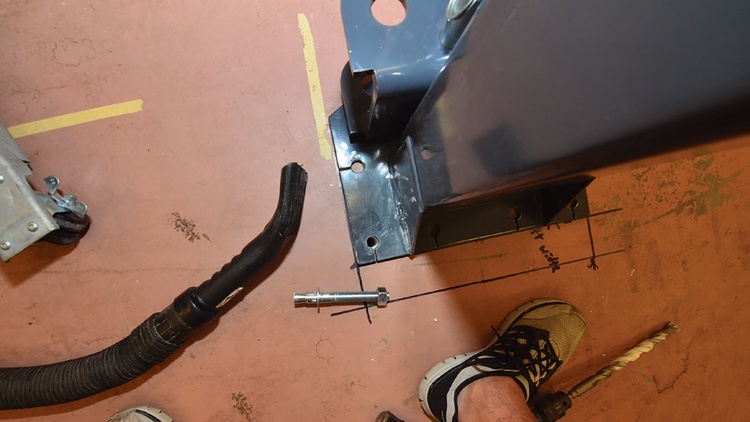 I'm not convinced that a two post lift is safer than jack stands (or at least not significantly). I think that they're both equally safe and that their safety is primarily dependent on the quality of the specific equipment and the care taken in setting them up. I suppose you have a bit more room to move if you drop a car off a lift as opposed to jack stands but with quality equipment a vehicle setup properly on either is not going to fall. I personally prefer a four post with bridge jacks for suspension work. 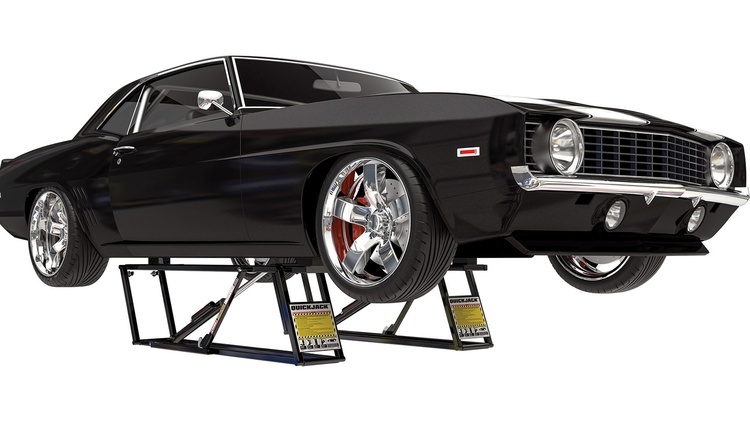 The ramps provide a convenient place for tools and parts and once the parts are installed the car can be set on the ramps while tightening bushing fasteners. In my case suspension work is often followed by scaling and alignment both of which are done on the four post. I actually prefer a four post for almost everything but pulling FWD engines and transmissions. For long term projects like complete builds or restorations I actually prefer jack stands to a lift. Once the car is up on good quality, tall jack stands and shimmed level then I can get to any part of the car pretty easily and the lift posts aren't in the way. I don't have a lift in my home shop for that very reason. I do have a access to a lift at work however and if that weren't true I might prefer to have one at home. The best solution is to have a large enough shop to have a flat stall, a four post and a two post. Most of us don't have that option so (as the article said) taking the time to really think about the type of work you're going to do most is really important. Another +1 for 4 post plus the bridge lift. I really like mine. Also- it does work well for a long term project- as I can move it up and down to make it more comfortable to work on the car. Which I find important when grinding and welding a lot. We used to have both four post and two post lifts at work. We now only have two post lifts. The four post was super-easy to put a car on but not as easy to work on the car. Scaling and alignment is done on hub stands. I've built a few cars on jackstands. Maximum access to the sides of the car, but I sure would appreciate the option to have the car higher at times. 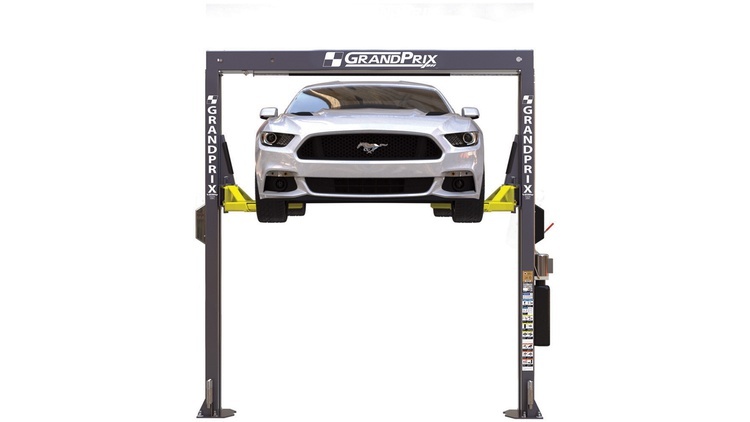 For a bigger/commercial shop, there's no question that the 2-post lift is far and away the best choice for everything except alignments. IME, for your typical home garage a 4-post has substantial width advantages over the 2-post. The lifts themselves are narrower because the posts are fore/aft and only need to be wide enough to drive between, not to open the doors. You generally get about 10-11 feet of width per stall in a 2 car garage (at least where I live), the GP-7LC mentioned in the article is 125 inches wide. If I put it hard up against the wall on one side, it would be several inches over the centerline and intruding into the second parking space (and in the most critical space, where the door for the other cars wants to open). By contrast the 4-post HD9-ST that I own is only 100 inches wide (2 feet narrower), meaning that I can install it far enough out from the wall to walk around it but still have the other side be six inches short of the centerline. Just looking at BendPak though, their smallest rolling bridge jack - lifting one end only - adds another $1500 (or about a NB Miata's worth) to the cost of the four-poster. While your points make a lot of sense, I'd say that the cost increase is not insignificant. The recommended two RBJs would cost more than a second two-post lift (assuming you had the space for one). Look for used ones. I found a 4 post lift with two bridge jacks for less than $2000. Even better for me it was a special narrow version, which is perfect for my small cars. Only at GRM do you buy a $3000 lift to put your $1500 car on. Agreed, it's definitely more expensive. OTOH, in my garage (and many others I've seen) it's the difference between an expensive lift that fits and a cheaper one that doesn't. While I have two RBJs on my lift, you can definitely get by with only one. 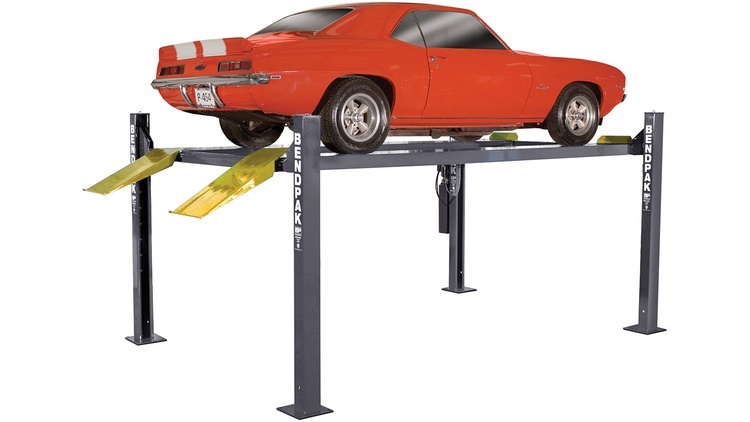 Most of the time you only need one end of the car in the air, and in the event that you need both you can lift one end with the RBJ, put jackstands on the ramps, and move the RBJ to the other. I've done that for clutch jobs so that I can use one of my RBJs as a transmission jack. Regarding bridge jacks, you can also purchase jacking plates which are just a heavy plate that can be moved back and forth along the lift. You use your own bottle/scissor jacks with it. I've used that with great success on my 4-post lift. They appear to be $160 now through BendPak. Mine was considerably cheaper at the time I bought my lift. -High lift scissor or portable two post would probably be my choice of a second lift. Currently own a Bendpak HD-7P, and while it is fantastic to work on Miatas or other small cars, it's a VERY tight fit with the Supra or the LS400, due to width of those cars. 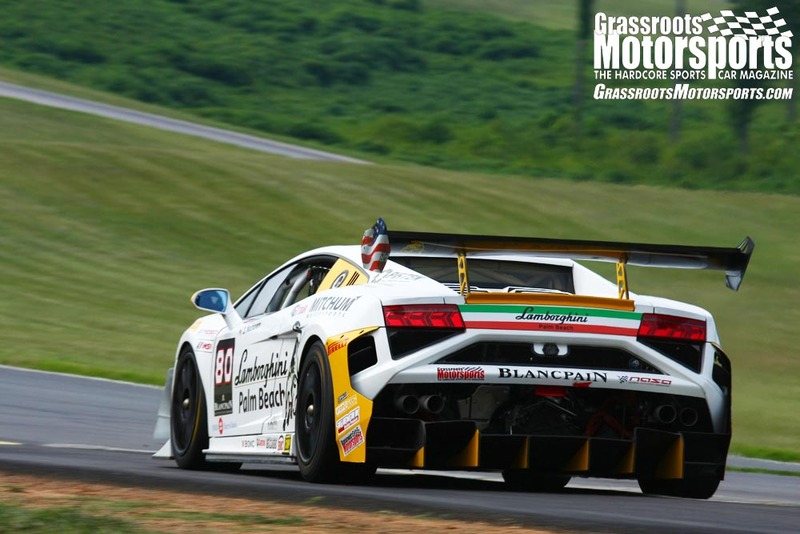 Trucks, exotics, heck, even some modern American cars are simply out of the question. 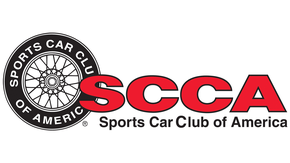 I'm sure this would preclude a lot of classic American cars too, but have yet to try. The other problem with a four post, it makes removing subframes... interesting, let's just leave it at that. My advice? Go as wide as you possibly can in the space you have available. -Better advice? 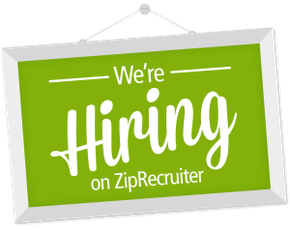 Plan out the building you're going to use as a garage for the eventual lift you may have. I should have extended our garage about 7' in width, it would have allowed for two lifts, no problem. Alternatively, it would have simply allowed for more room in general, never a bad thing in a garage unless we're talking about climate control costs... This advice is more or less for new or future construction plans, but still... count on having a lift someday, you won't regret it! -Glad to see I'm not the only one using the term, "rocket surgery" haha. -Trailer crane!!! I'm totally borrowing this idea now, thank you so, so much for sharing. I mean, I see these on service trucks all the time, how I never thought to stick one to a trailer hitch, I'll never know. -Not all lifts require 240v, but it's not a bad idea if you can make it happen. I had a plug installed for a welder I knew I would eventually buy, so fortunately for me it works for the lift too! Great article, has been a lot of fun seeing your garage come together! I have two lifts. Not rich - frugal, parsimonious (wife says cheap). 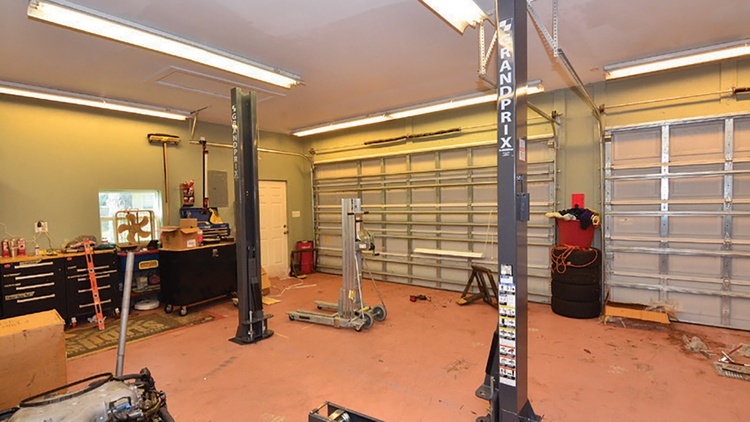 I the attached garage at my residence, I have an old symmetrical two post Rotary (Roger Penske became my best friend (though we have never met) when he closed down the Penske K-Mart Autocenter and the contents of the autocenters were auctioned and I acquired my first lift). I have it set up 2 ft narrower than design intent and had to shorten the arms proportionally. This allowed me to place the lift into a 20 x 20 garage and not encroach on my wife's side. Major downside of the narrower spacing is that I have to push the vehicle about to be lifted to roll it into position to be balanced to lift - for daily use, I typically park about 2 ft rearward to be able to open the car door. The purpose of this lift is to make the garage into a 3 car garage for my 61 Falcon and 71 GT6 convertible during the driving season. I bumped the ceiling up locally to 10.5 ft so that the greenhouse of the car is above the nominal ceiling height. This lift has the balance cables and hyd line running on the floor - not ideal - especially in the winter when the Isuzu is dripping slush and road salt, but for me purchase price was critical. I also use the lift for oil changes and other minor maintenance. My Isuzu can be lifted to about 5ft 8in. Because of the tight clearances around the lift, it takes me up to 15 min to get a car up in the air - a nuisance when wanting to switch cars. If price was not a consideration, this would be a 4 post lift. In my (hobby) workshop garage (offsite), I have an asymmetrical 2 post Rotary (courtesy of the Ford Rouge plant moving the Mustang elsewhere and retooling the plant). This lift has the cross bar with balance cables and hyd line running across the top (at just under 12 ft height). My workshop garage has a nominal ceiling height of 9.5 ft. I bumped a pocket into the ceiling up to about 11.25 ft and ran the cross beam up in the attic (just above the pocket ceiling joists) - I get the full 6 ft lift height on every vehicle I own including my Isuzu Amigo (I have yet to put my old F150 on this lift, but I should be able to get full height also). For both lifts, I have a shut off bar located just under the drywall of the pocket ceiling if a vehicle were too tall to get full lift. It looks like the project started out with ceiling lights perpendicular to the garage doors, then ended with lights parallel to the doors. Was there a design change or is it some kind of optical delusion? My math was off when I hung the lights, and they ended up being in the way of the lift. I turned each one 90 degrees to make room. Do you guys have more pictures of the trailer crane? I suspect it was in a ramp truck article and I missed it, but I can easily see the value in that. 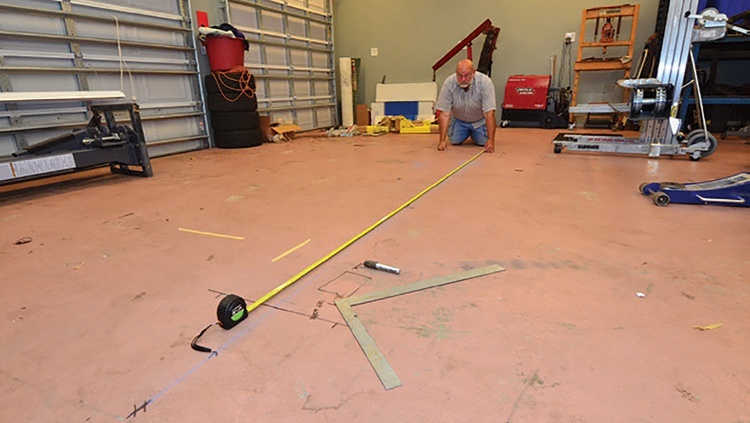 What was the thickness of the garage floor pad that was required for this lift? I have access to a used version, but I'm not sure if my 4-inch thick garage floor will be enough to support the 2-post structure, and I don't have the room for a 4-post. 22ft. deep garage is only barely enough for my 20 ft long truck, let alone a 4-post lift that will accommodate it. IIRC 4" is the minimum thickness for this lift. I have a Rotary Revolution 2-post (made by Direct, or Forward lifts; it's all a sticker game), and it called for 4" slab. Most hoists seem to require minimum 4". My 10k Bendpak two-post calls for 4". For what it's worth, I hang one end of the car off the edge of my four post, depending on what job I need to do. Long as the lift can safely support the wheel base of the vehicle you're putting on there, I would be comfortable under it. NOW... disclaimer time, my lift is a 7k pound rated capacity, and I've never put a car heavier than 4k on it. I would consult with a reputable lift manufacturer such as Bendpak, Ranger, those sorts of folks, see what they have to say about your situation. That's interesting, most of the two posters I looked at all called for a 6" slab. Or... perhaps it was more the psi of the concrete that was more critical, I forget now, it's been a few years since doing all my research. The installation instructions for one of my Rotary lifts (found online) had info on slab requirements including minimum size and thickness if cutting out and replacing the slab locally. My assymetrical lift, bought from the Ford Rouge plant, had an extra 6 inch wide plate welded to the base for both additional mounting studs and to get the load spread over a greater area.